This page details Type 4 of the voice evacuation installations. 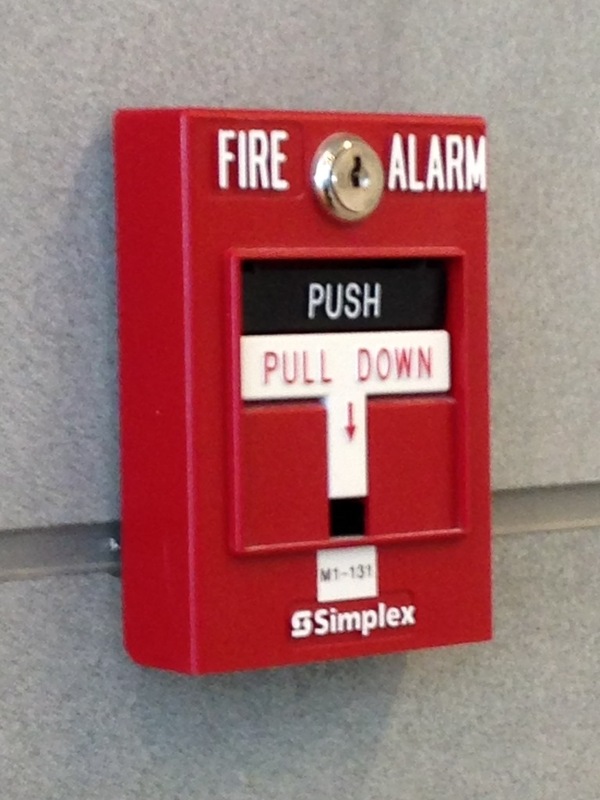 This type of installation can be found in the new School of Business building on campus, which was built from May 2011-August 2013. 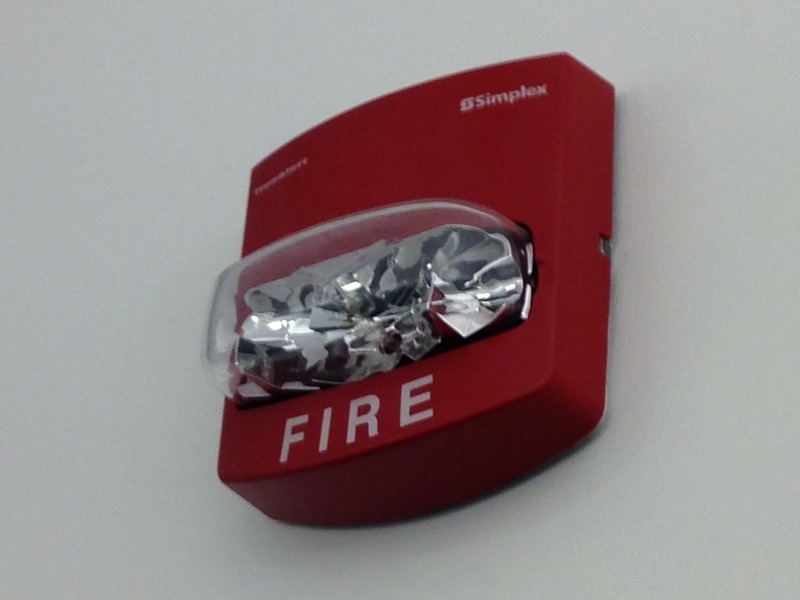 This building replaces the old Business Administration building (now technically called Building 27) that has the non-voice evac Type 1A system setup. That building will be renovated and reused for different purposes yet to be determined. 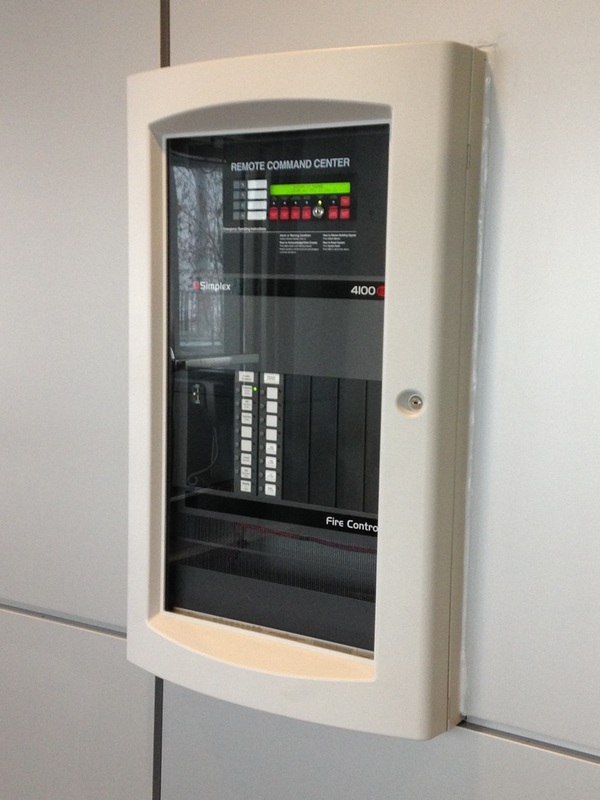 This is the annunciator, which is installed in the south entrance atrium (that faces the Academic Podium). 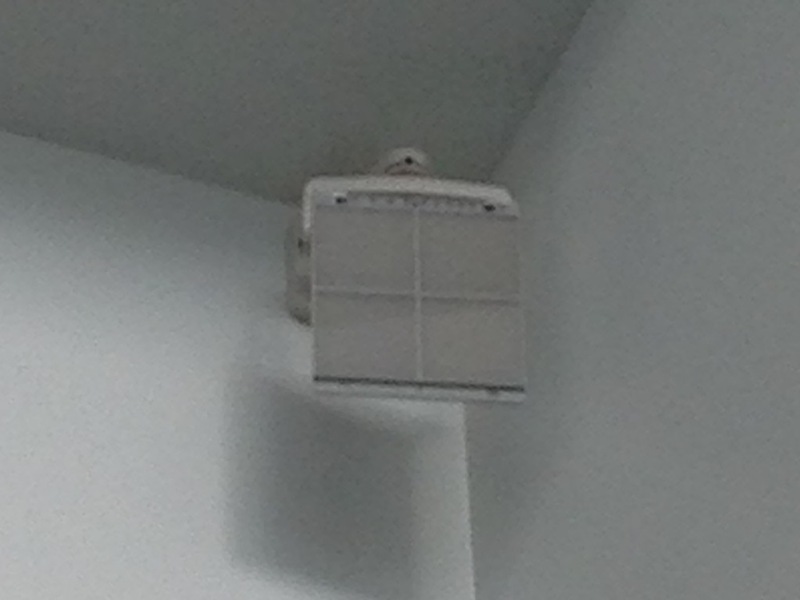 Given the style, this means the system in this building is a 4100ES voice evacuation system! The main panel is probably located in the Fire Command Center, which is just inside the building near this entrance. The entrance on the north side of the building has no annunciator. multi-candela TrueAlerts model 4906-9151. These are installed throughout the building, including hallways and restrooms. Supplementing the speaker/strobes are remote speakers, model # 4902-9716. 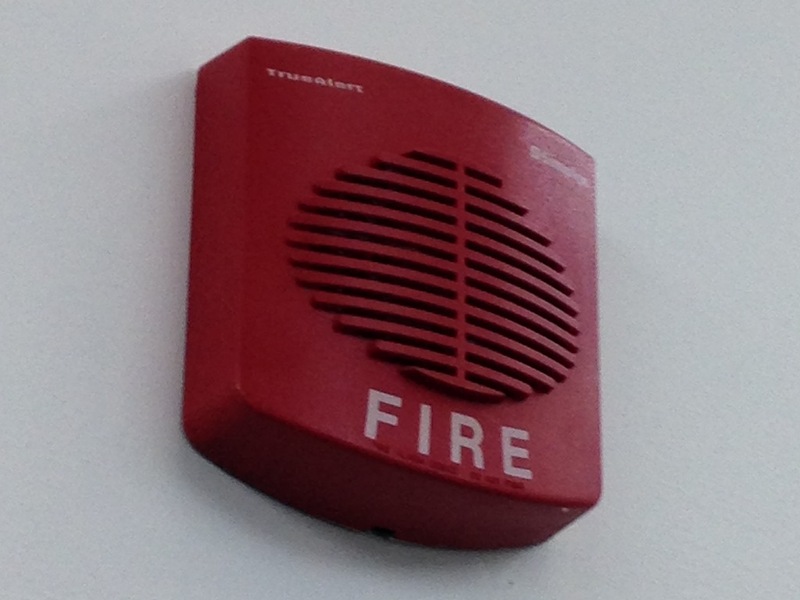 These are mainly installed in lobby areas or in large areas where additional strobe coverage isn’t needed, but additional sound coverage is needed, especially in areas where there’s an echo and alarm wouldn’t be heard as well. Also installed are TrueAlert multi-candela remote strobes, model 4906-9101. 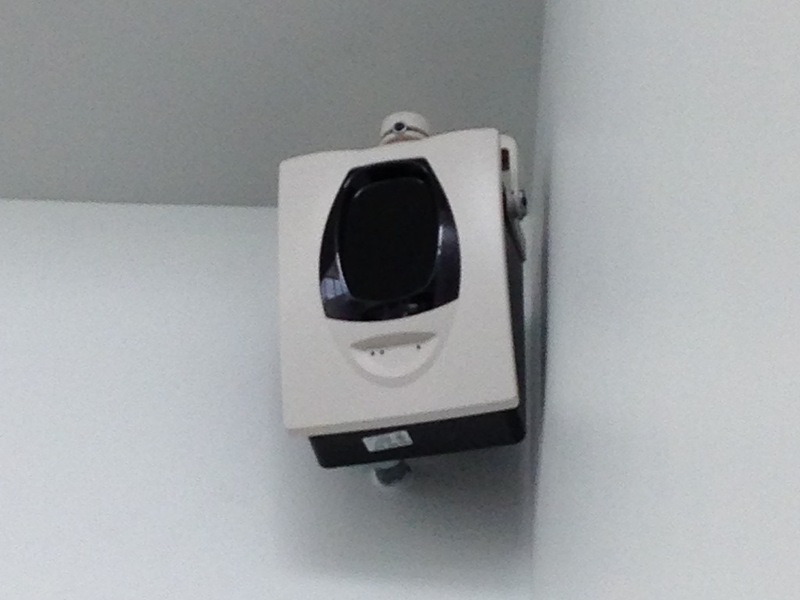 These are mainly installed in common areas, such as classrooms and group study rooms where sound coverage isn’t needed, but strobe coverage is. Because of how new the system is and the fact that I no longer go to this college, I am not sure how the system sounds, but I imagine it does the slow whoop tone and the default message, like the rest of the campus. 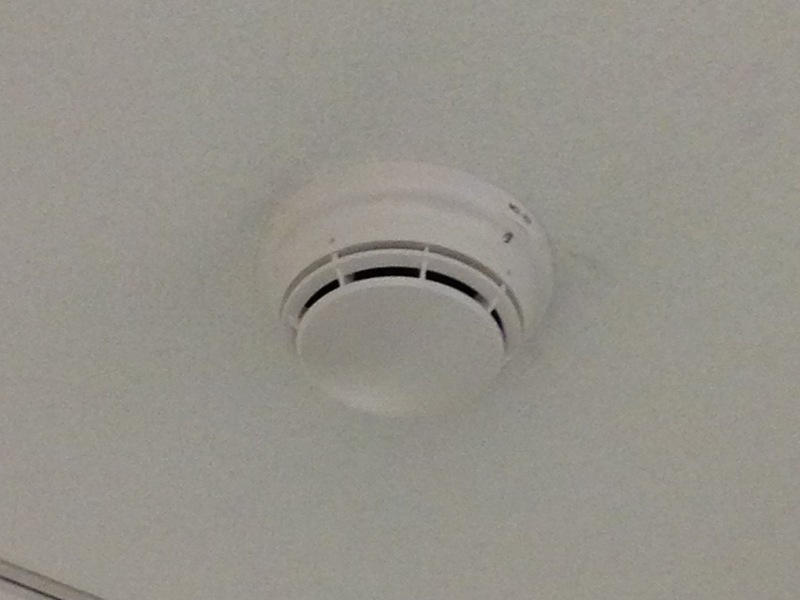 Installed in the areas with large ceilings are beam smoke detectors. These apparently are from System Sensor and are model BEAM1224. The detector consists of a combination transmitter and receiver and one reflector. Odds are these are hooked up to an intelligent addressable module (IAM) which allows the 4100ES to monitor the status of the detector. And the pull stations are consistent with the newer types of installations being done on campus, being dual-action and model # 4099-9003. And that’s Type 4 voice evac!